Spring is here and it's the perfect time to get outdoors. The Highlands are beautiful at this time of year, although I have to say I think it's beautiful here all year round. I grew up in Glasgow but I spent most of my childhood holidays in this part of the world and I am very lucky to have had that privilege. My mum's side of the family descend from the small fishing village of Hilton which is an interesting place to stop if your travelling the North Coast 500 route. There are three villages Hilton, Balintore and Shandwick, all interconnected. 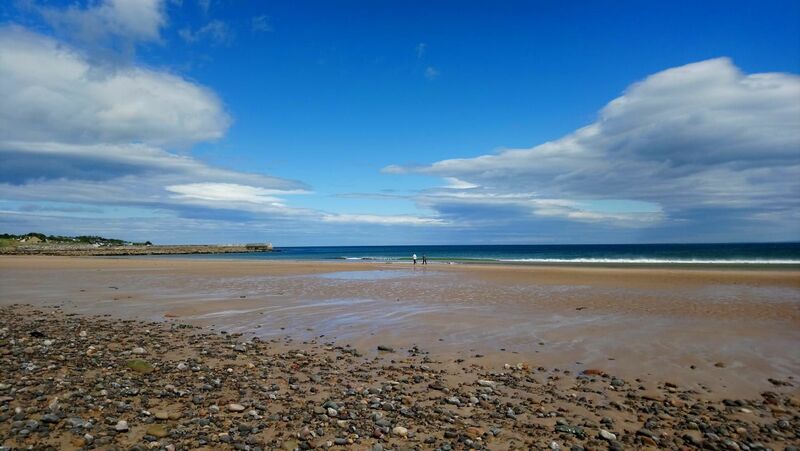 Shandwick bay is a wee gem of a beach and it's well worth taking a stroll along here. You'll come across an interesting little bus stop (not that any buses stop here) and if you keep going you'll find the Well of Good Health, or as they say in gaelic " Tobar na Slainte". Legend has it if you take a drink you'll enjoy a long life of good health. It's worth a try! The Seaboard Cafe serves up some great food if you fancy stopping for your lunch and the homemade cakes are divine. They are all made in house and my personal favourite is the Magic Slice. It's all in the name! It really is magic! There's also a small display of some interesting historical artefacts relating to the Pictish heritage of the area. The Shandwick Stone and a replica of the Hilton of Cadboll Stone are found at the very end of both villages and are fine examples of a Pictish standing stone. Some bookings are coming in from around the globe and I am looking forward to welcoming guests from Germany and Australia. I am hoping they'll love this area as much as I do. It's hard not to!